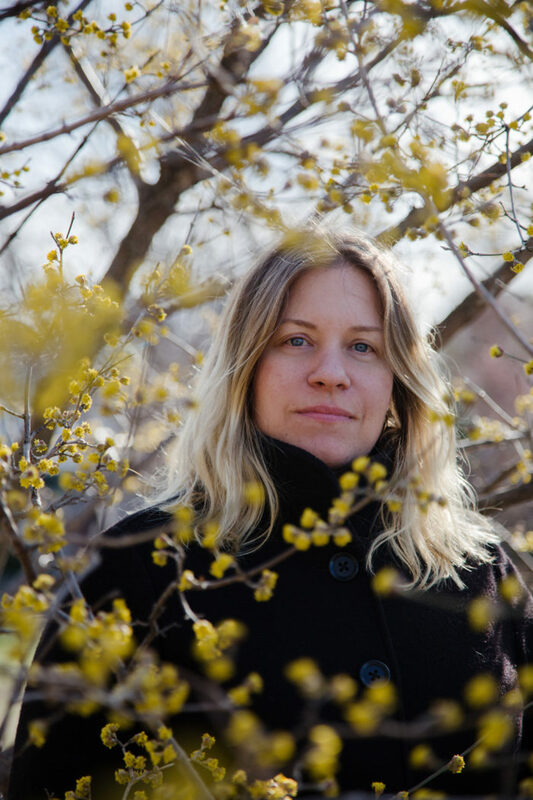 Virginia Overton at Socrates Sculpture Park, 2018. The first time I met Virginia Overton I remember being overwhelmed by her ability to find clarity in chaos. Her studio at the time, a large tall box in Williamsburg, was filled to the brim with materials, both industrial and living. I felt like at any second the whole thing might cave in–perhaps revealing some greater vision like tea leaves at the bottom of a cup. This sensation of enlightened claustrophobia came rushing back to me on a recent visit to Overton’s new space–a long rectangle not far from the Brooklyn waterfront or her old studio. Here, the artist’s endless stacks of wood and metal run the length of the space rather than stretching vertically. “We are in the midst of unpacking,” Overton says apologizing as we take a seat in a sun-filled entryway. Her dog Charlie joins us lapping it up. Untitled (4×8 View), 2018. 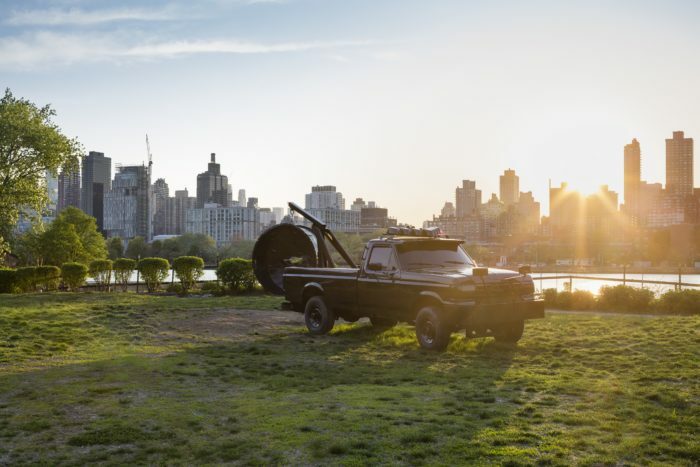 Courtesy of the artist Socrates Sculpture Park, Bortolami Gallery, and White Cube; Image by Nicholas Knight. Always responsive to her environment, the works on view are designed to be weathered as the seasons progress much like the greenery in which they are seated. “It’s gone from no leaves, not really much grass at all to this green and lush and abundant feeling,” the artist says. 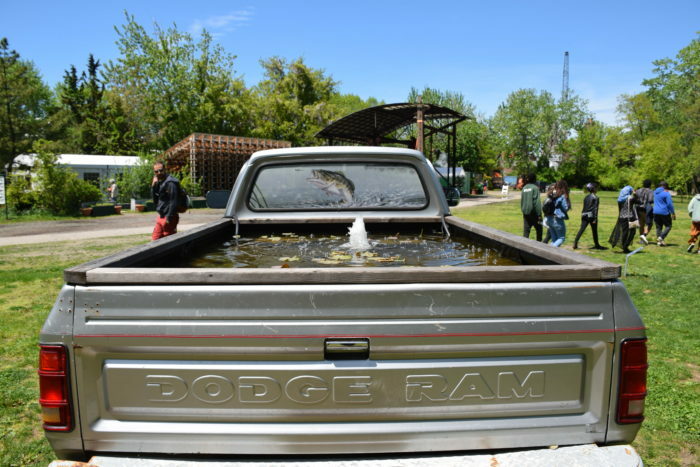 “I wanted my sculptures to follow the trajectory of the park.” This sense of evolution proliferates throughout her installation, but is encapsulated by Untitled (Late Bloomer) (2018), an active truck bed fountain with a lotus growing inside it. During the winter, the Dodge Ram had been tented in a greenhouse. Untitled (Late Bloomer), 2018. Courtesy of the artist Socrates Sculpture Park, Bortolami Gallery, and White Cube; Image by Nicholas Knight. Untitled (Mobile), 2018. 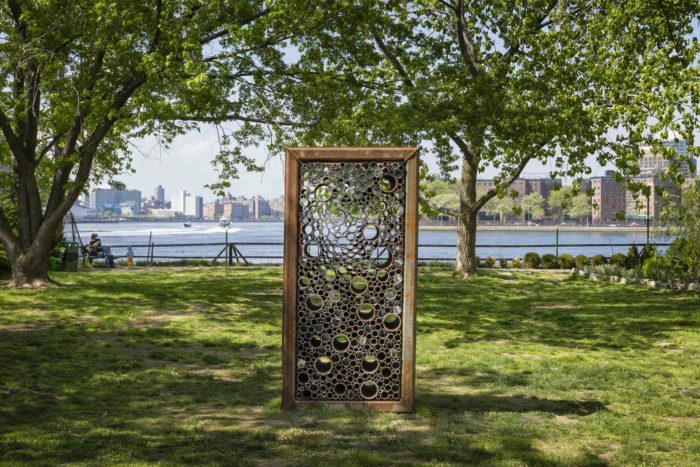 Courtesy of the artist, Socrates Sculpture Park, Bortolami Gallery, and White Cube; image by Nicholas Knight. Bringing awareness to the familiar feels like the key to interpreting “Built.” As one weaves through Overton’s intervention, a story unfolds that is inherently tailored to the landscape but also to the visitor’s perspective. Staring past a blackened truck at a watery Manhattan, I could feel the weight of the land beneath my feet and also its potential for change.